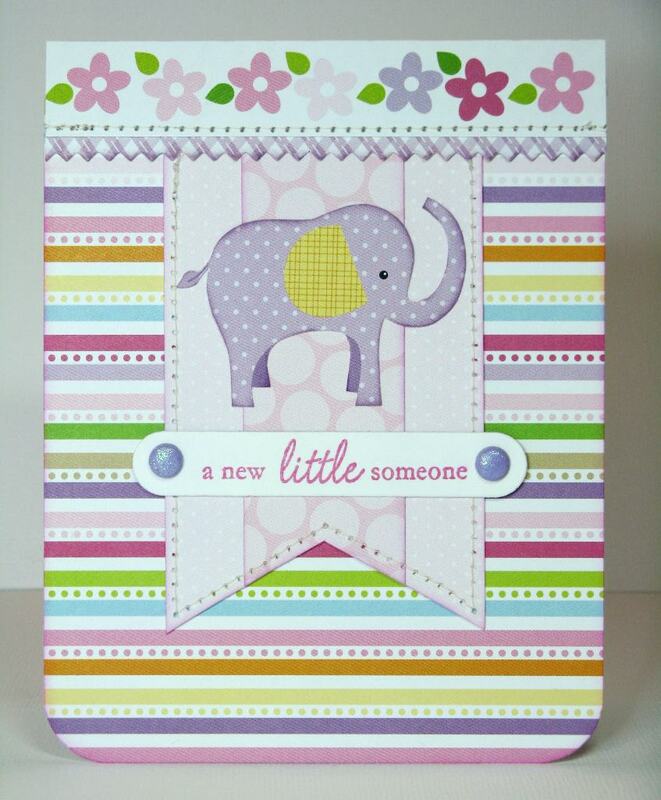 Today I have another elephant baby card to share of a more girly nature using Bella Blvd's Baby Girl collection and a sentiment using Papertrey Ink's Baby Button Bits Stamp set. This one is pretty straight forward and simple, but I had fun making it with my left over scraps. The little elephant was fussy cut from a border strip of paper found in the collection and I used a variation of a Papertrey Ink Sketch from their 5th Anniversary awhile back found here. Oh yay....it's out for publication?! Congrats! You'll have to share where it is when you can! !